Details: The MRTC is proud to present the 2014 WINTER OFF-ROAD RACE SERIES. We'd like to thank our title sponsor, Outdoors Inc. for their support, as well as Bluff City Sports and Races Online. Each run is guaranteed to challenge and offer plenty of fresh winter air and whatever else Mother Nature can conjure up that day. Maybe snow, maybe sunshine, but most definitely we'll have mud. 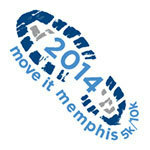 Proceeds go toward the MRTC running scholarship fund in the name of the late Frank Horton. Details: The Harding 5K benefits Harding Academy. It is run on a flat, fast course that begins and ends at the Harding Campus located at 1100 Cherry Road, Memphis, TN.